The regular season is done and dusted, and we have our 12 teams from the North decided. Today we break down the match-ups which will take place on the 5th of August in Glasgow. The Sheffield Giants (formerly Predators) have been perennial Britbowl contenders for years now. They’ve never hoisted the trophy, but they’ve come close on a number of occasions. 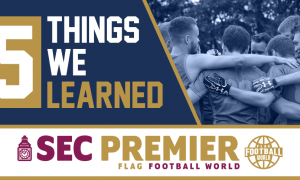 Coming into the year they were a huge favourite to take the #1 seed MEC and missed out narrowly after an uncharacteristically error-filled loss to the Newcastle Blackhawks. Aside from that, it’s been plain sailing for the Giants. They’ve passed every test with flying colours, and gotten stronger as the season has progressed, as they ended up 13-1 and #2 from the MEC. The Outlaws on the other hand have had something of a disappointing campaign all things considered, but comfortably made the playoffs anyway. 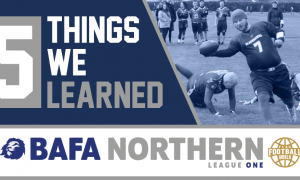 They’re one of the longest running teams in the HNC, and even managed a win in the playoffs last year before being ousted narrowly by the Glasgow Hornets. Pre-season hype was real, as this is a very talented team. We didn’t see them toppling the Oilcats, Broncos or Hornets, however losses to the Steelers and Comets and a tie with the Dunbeth Dragons gave us reason for pause. The Outlaws finished 4-6-1 and the last seed from the HNC, but we know they’re capable of more. Well, obviously players like Dean Whittingslow and Josh Allen will be expected to play well, but the Giants have gotten solid play out of Luka Fadrique also. We anticipate that the Outlaws will have Jamie Archibald on hand to limit the MEC Offensive Player of the Year, however Luka’s impact might be a deciding factor in this tie. One question will be who lines up under centre for the Outlaws. David Hogg and Liam Clutterbuck have identical stats with 23 TDs and 13 XPs each when they’re in at QB, however they’ll both face an uphill challenge against the vaunted Giants defence. 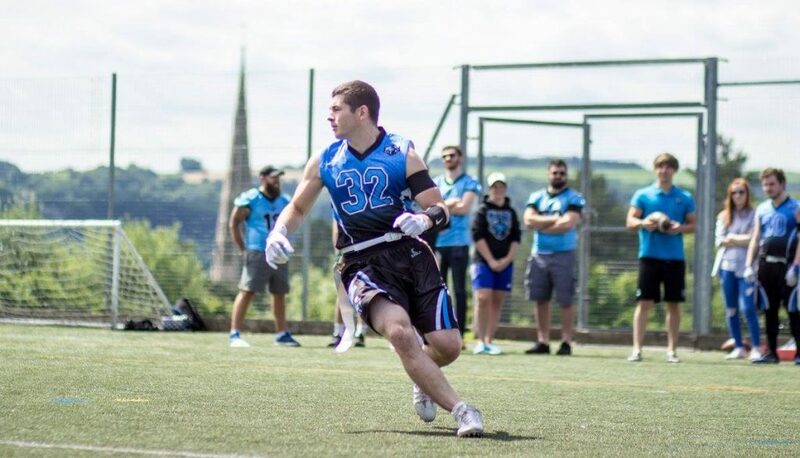 Max Verlint might not have too much of an impact on this game, as the Outlaws are generally very safe with the ball, utilising the underrated receiving corps of Jamie Archibald, Brandon Meikle and Alessandro Marrello to great effect. This is a really tough match-up for the Outlaws, and one that was entirely avoidable had they picked up a few more wins. We can’t look past the Giants, but they’ll need to be wary of the threat the Outlaws pose. The Broncos enter the playoffs at 10-1 and as the #2 seed from the HNC. They’ve been flying all year, scoring freely and quickly against nearly every opponent. They blew the talented Oilcats out of the water in the first half of their game to pretty much seal #2 spot behind the Hornets. Their showdown with the Hornets was somewhat tarnished by the loss of Fraser Thomson to a suspected concussion, so they’ll feel good about their regular season. The Samurai finished 6-8 and runner up in the MEC North. They were made to sweat for the playoff spot, as the Calderdale Knights had the chance to leapfrog them at the death. 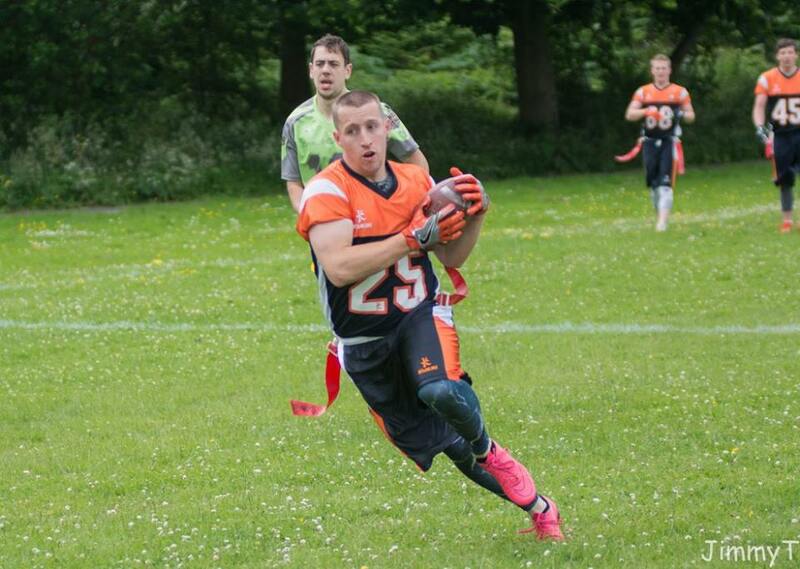 Leeds started the season in impressive fashion, highlighted by a win over the Mansfield Honey Badgers. They tailed off as the season progressed however, and finished the season with a loss to the Cheshire Cavaliers. They are the final seed in the MEC. The Broncos are obviously full of talented players. Liam Fleming has truly emerged as a potential MVP, while Callum Woods will give the Samurai issues with his blistering speed in short spaces. The Broncos will need to try and keep Jonny Dudley quiet. The Samurai #7 is excellent on both offence and defence and has received MVP buzz from his opponents in the MEC. Chris Farren also had a number of impressive games this season. Kyle Taylor is an accomplished QB who has had a very productive year. The Oilcats had to settle for bronze in the HNC, finishing 9-2, with those losses coming at the hands of the Grangemouth Broncos and Glasgow Hornets respectively. Against the former, the Oilcats nearly rallied heroically from a huge half time deficit, and were in a position to take the lead. However their loss to the Hornets was a heavy one, where they never matched the intensity the Hornets brought to the field. Aside from that, the season was plain sailing for Aberdeen. They walked their division with minimal fuss, but did a near-scare against the Clyde Comets. The Crows on the other hand have made the playoffs despite injury. They failed to win the MEC Central as the Manchester Titans won the division convincingly. 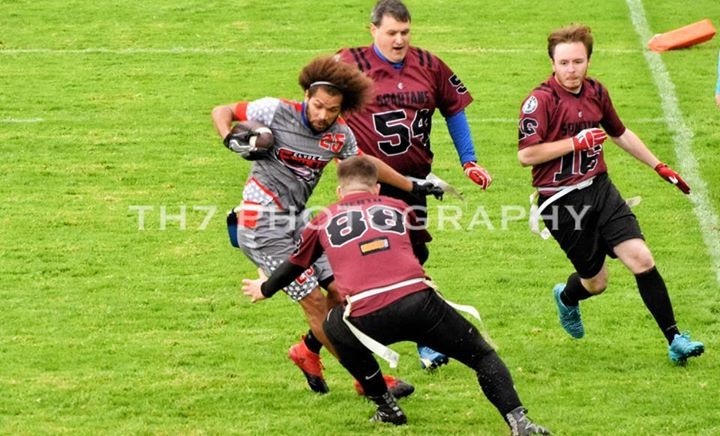 Their results have ranged from the sublime to the ridiculous: They beat their division rival Manchester Titans in convincing fashion, but managed to lose to the improving Cheshire Cavaliers on the same day. They finished 8-6. Well, this one will likely come down to who turns up for the Crows. We mentioned injuries have hurt the Crows, and none have been more devastating than the loss of Talha Javed, who will not be able to suit up for the playoffs. Top WR James Durham, who has been filling in for Talha, will also miss the trip to Glasgow, so the Crows will be down to their emergency third QB. This one goes to the favourites again I’m afraid, as the Oilcats will be thankful for the short(er) trip to Glasgow. The Crows are still a very talented side, and anything can happen, but we have the Oilcats progressing here. The Titans made a statement by comfortably winning the MEC Central at 10-4. They rely on their high-powered offence to get them through games, while their defence has somewhat struggled against some of the more accomplished teams (the Giants and Blackhawks put up 50 burgers on the Titans). They’ve been hot and cold for a lot of the year, dropping games to the Honey Badgers and Crows, but they’ve taken care of business when called up, with relatively minimal fuss. Their 34-33 win against the Vipers was a particular highlight. The Dragons come into the playoffs at 5-5-1 and as the runners up in the HNC Central. They two have had an up-and-down campaign, with heavy losses suffered, but similar to the Titans, they’ve won the games they arguably should have. They posted a ridiculous 134 in their final two games to come into the playoffs in red-hot form. For the Titans, the arrival of David McInally was a huge boost at the start of the season. The mercurial Scotsman surprised the other MEC squads with his play from the WR position. He tailed off towards the end of the year, but we expect he’ll cause issues for the Dragons defence. The Titans however will be without Alan Mead, who has had a fine year at the QB position. Rick McEwen leads the defence which relies more on turnovers to change games. Jay Pitchford is our pick to be the difference in this game. The Dragons will probably ask Barry Conn to take David out of the game to the best of his ability. That’ll likely be their best bet at success. They’ve got a small squad, but every player on the roster is well-drilled and has solid fundamentals. Unfortunately for the Dragons, star WR Craig Murray will miss this contest, while QB Alistair Aitken‘s status is up in the air. If both teams were full strength, we’d probably see an epic, with the Dragons boasting ridiculous firepower, and the Titans having more than enough to keep up. With both starting QBs likely absent, it falls on the shoulders of the remaining supporting cast. Provided Jay Pitchford and David McInally are available, we can see the Titans advancing, but it could be tighter than anticipated. The Sheffield Vipers have been perennial playoff participants for a number of years now. The green half of Sheffield have one of the better offenses in the league, sitting inside the top 10 for points scored. They’ve taken care of business in style all year, but were just a step below the Giants in the MEC South. They finished up 10-4, as they only lost to division winners – both by a combined 7 points. The Comets are technically rookies, but they have plenty of experience in their ranks. The upstarts didn’t exactly have the best first week of the year as they went 1-2, including a narrow divisional loss to the Carnegie Renegades. They massively improved as the season went on, as things started to click into place. 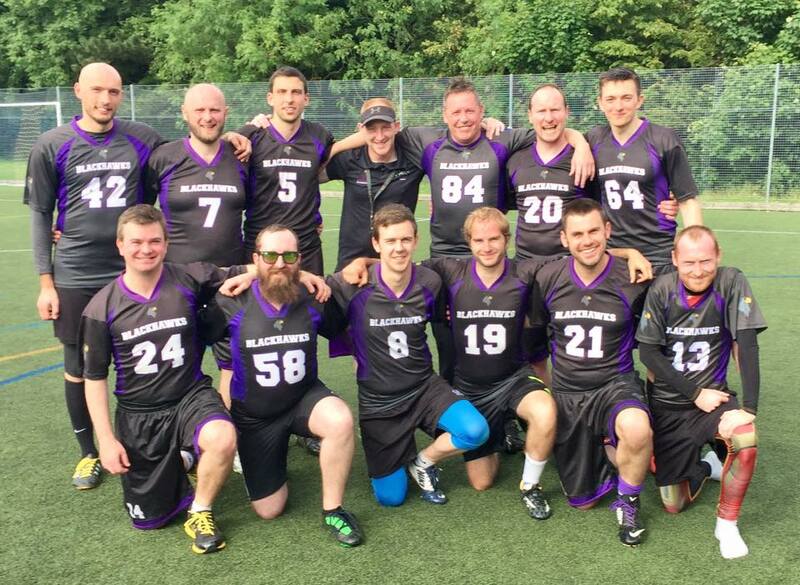 They didn’t win many games by large margins, but they picked up some impressive wins over the Dunbeth Dragons and Edinburgh Outlaws. Loss to the Broncos and Oilcats were expected, sure, but they were both one score losses. On their final game day, they looked like they were ready for the Premier League. 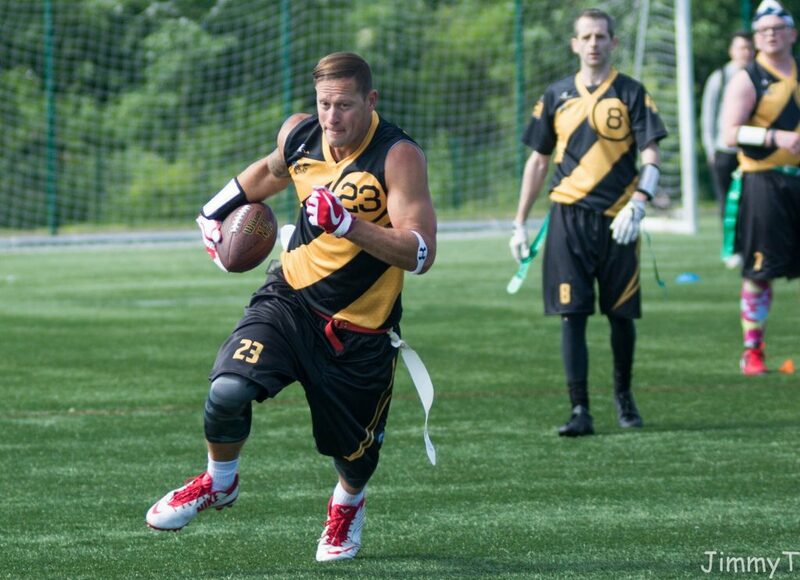 They handily defeated the Spartans and avenged their loss to the Renegades by a point to clinch their playoff spot. The Comets finished 7-5 in their rookie year and wound up second in the HNC West. As mentioned, the Sheffield offence has been prolific all season, in large part due to the play of Keith Woodley. Keith has been a revelation for the Vipers, as he threw a ridiculous 66 TDs with only 9 ints this season. The Vipers have talent at the receiving position also, as Luke Bennett and Tom Fowkes provide an excellent pair of target-men. The latter is also the main man on defence for the Vipers, as he picked off 7 passes and returned 2 for scores this season. Don’t sleep on Mike Sullivan either, the savvy centre scored 14 times this year. For the Comets, the main man is obviously Bud McFerren. Bud is a danger regardless of where he lines up, as the Comets employ him as a running back and slot receiver for the most part. He has blistering sideline-to-sideline speed, so if you think you have him beat on defence, you probably don’t. The Comets made arguably the midway transaction of the season, as they acquired David Pasnik from the Glasgow Hornets. Pasnik found himself as part of a rotation of talented receivers, but made the jump to Clyde halfway through the year. His play on defence and offence has helped propel the Comets to the playoffs. Pasnik’s arrival has helped Martin McLintock, who has acclimated to flag QB play as the season has progressed. Chris Lang rarely misses a tackle for the Clyde outfit, and has emerged as one of the strongest defensive players in the HNC. 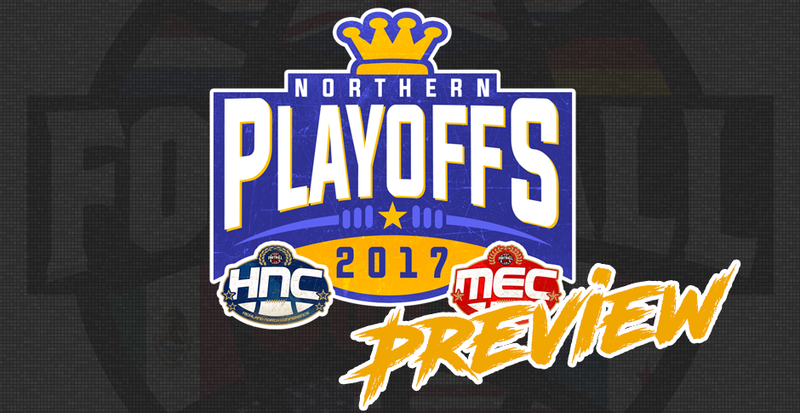 This is probably the most interesting match-up in the first round, as the Comets will be the team who benefit most from the playoffs being played north of the border. They should be able to field a strong squad, and they’ll need it to challenge the Vipers. The Comets’ upwards trajectory is hard to ignore, and we love the Vipers on paper. But this is the playoffs, and if the Comets lean on Bud, they could find themselves progressing. The Hornets have been on somewhat of a tear in 2017. 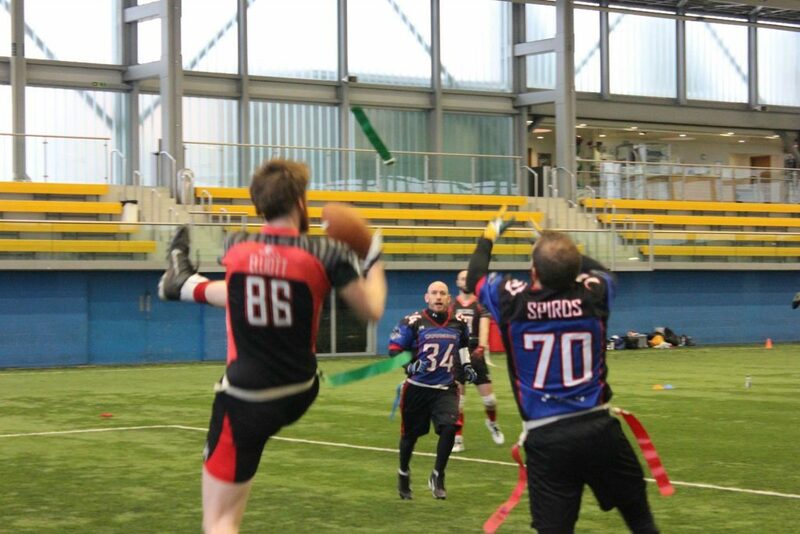 They lost the 2016 Britbowl final by a single point, and that point was a failed XP as time expired. This year, they’ve been as efficient as ever, beating teams with conviction, including their closest rivals, the Oilcats and Broncos. They progress as #1 seed from the HNC and North, with a 12-0 record. They also participated in Champions Bowl, and had an opportunity to try themselves against the best in Europe. A disappointing loss to the Rebels at this tournament might stymie any favourites tags being applied to the Glasgow squad, but they’re undoubtedly capable of winning it all. Their offence is arguably the strength of the team. GB Head Coach Alan Young has been shelved most of the year due to injury and scheduling conflicts, but he’ll be back for the playoffs since they’re in his neck of the woods. The offence revolves around the talents of Julian Holburn-White and Grant McLennan, who provide excellent balance. Nicholas Farrell fills the third WR spot for the Hornets, but everyone in the league knows about his dual threat potential, as he is just as explosive in the option game. Callum Bell and Richie Moore round out this talented receiving corps. The Hornets defence is no joke either, as they conceded the least number of points all season. They’ll watch on with bated breath as teams duke it out, and they’ll have the luxury of playing one of the lower seeds. That sounds great on paper, but it’s fairly likely that this would result in a match-up against an HNC foe, more than likely the Oilcats or Broncos. This will almost definitely cause the Hornets concern, as these three squads know each other very well, and are almost interchangeable at times. They’ll need to avoid any sluggishness from having two games off before finally taking the field if they have any hopes of progressing. The MEC belongs to the Blackhawks this year. 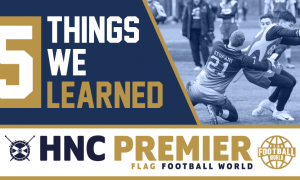 The Newcastle squad have been one of the stories of the season, as their final game-day win against the Sheffield Giants meant that the Blackhawks would progress as the #1 seed from the Giants. They largely went about their business in an unspectacular fashion for much of the year. They dominated when it was expected, and scraped good wins against good teams. However their victory against the Giants made everyone sit up and take notice. They went 13-0 and will travel to Glasgow as the #1 seed from the MEC, and #2 overall. While the Hornets lean on their offence, the Blackhawks rely on the strength of their tremendous defence. Blitzer Phil Watson leads the charge from the front, while the ballhawking defence take advantage of any and all mistakes the opposition make. 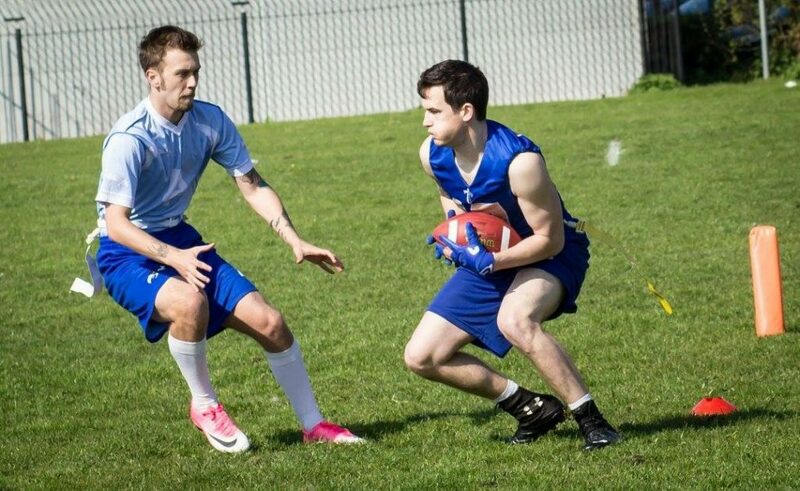 Their offence is lead by the returning Michael Dunn and QB Ewan Miller, who combine to attack teams in a number of different ways. Mantas Ceckauskas is the two-way dynamo on this roster who comes up with huge performances when they’re needed. The Blackhawks are capable of beating anyone on their day, but they’ll have a tough game against the highest seed who progresses to the final round. If the favourites run the table, they’ll get a rematch with the Giants. While we love the Blackhawks, the Giants have pedigree, coming close to the Britbowl title on a number of occasions. The Blackhawks will require a performance of the highest quality if they get through to their final match, while they can use their second round game as a tune-up.